PUBLIC HEALTH IMAGE LIBRARY, CDCAbout three dozen countries worldwide are now reporting local transmission of the Zika virus, the European Centre for Disease Prevention and Control announced today (February 19). Strengthening the link between infection and microcephaly in babies, scientists reported Wednesday (February 17) in The Lancet Infectious Diseases having found the virus in the amniotic fluid of two women who experienced Zika virus infection–related symptoms while pregnant. Both of their babies were diagnosed with microcephaly. Coauthor Ana de Filippis of the Oswaldo Cruz Institute in Rio de Janeiro told BBC News that the results suggest “the virus could cross the placental barrier and potentially infect the fetus.” However, it does not prove Zika is to blame for the babies’ birth defects. “Until we understand the biological mechanism linking Zika to microcephaly we cannot be certain that one causes the other, and further research is urgently needed,” de Filippis said. In addition to microcephaly, researchers are closely watching instances of Guillain-Barré syndrome (GBS) in countries with circulating Zika virus. The neurological condition causes temporary paralysis, and two people in the U.S. with GBS have also tested positive for Zika. Without hard answers about Zika, alternative hypotheses have popped up, including a recent proposal that a mosquito larvicide is behind the increase in microcephaly in Brazil. One state in Brazil even stopped treating water with the pesticide. However, the explanation has little basis in biology; there is no evidence to back up claims that the chemical is dangerous to fetuses. “Even enormous quantities of pyriproxyfen do not cause the defects seen during the recent Zika outbreak,” Ian Musgrave of the University of Adelaide told the Huffington Post. Some scientists have proposed that Zika infection may be responsible for much more than microcephaly in babies; the virus has recently been linked to vision problems. Pathogenic infections in utero are also known to be able to cause mental illnesses later on. “I wouldn’t be surprised if we saw a big upswing in A.D.H.D., autism, epilepsy and schizophrenia” in regions where Zika is circulating, W. Ian Lipkin of Columbia University told The New York Times. 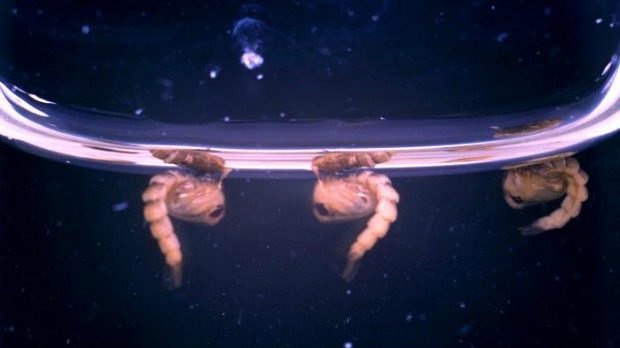 Global warming may only fan the flames of mosquito-borne diseases. “Over the coming decades, global warming is likely to increase the range and speed the life cycle of the particular mosquitoes carrying these viruses, encouraging their spread deeper into temperate countries like the United States,” the New York Times reported yesterday.